However, Lender Was Responsible For Routine Costs As The Non-Prevailing Party. In actuality, this is really a fee-shifting limitation and quasi-legislative limitation on consumer recovery post. “The Holder Rule, 16 Code of Fed. Regs. § 433.2, was prominent in dictating the result in Lafferty v. Wells Fargo Bank, N.A., Case No. C080535 (3d Dist. July 19, 2018) (published). The underlying case involved plaintiffs’ purchase of a defective motor home from an RV business where the motor home was financed through a Wels Fargo installment loan. The Holder Rule, promulgated by the FTC for inclusion in every consumer installment sale contract that is funded by a commercial lender, provides the commercial lender is subject to all claims and defenses which the buyer could assert against the original seller but that any recovery by the buyer (the borrower) cannot exceed the amount they paid under the terms of the loan by the commercial lender. The parties in Lafferty had agreed plaintiffs paid $68,000 under the loan after buyers prevailed through a negligence and Consumer Legal Remedies Act (CLRA) claim that the motor home was defective. After two earlier appeals, the trial judge awarded $8,384.33 in routine costs to the buyers as the prevailing parties but denied their motion for requested attorney’s fees of almost $2.5 million for post-trial and post-appeal work and denied their request for $16,816.15 in non-statutory costs. Wells Fargo appealed the routine costs award against it, while plaintiff buyers cross-appealed from the denial of fees and non-statutory costs. (However, assuming the Holder Rule cap did not apply, the lower court found $223,170 was a reasonable fee award to plaintiffs—an advisory ruling made to end the fee issue if the appellate court concluded the fees were not capped, a smart move in our view.) All of these post-judgment orders were affirmed by the Third District. Different matter as far as fees were concerned. Plaintiffs had sought fees under Civil Code section 1717, Civil Code section 1770 (the CLRA), and the private attorney general statute (Code of Civil Procedure section 1021.5). Because “recovery” is a broad term encompassing compensatory damages, punitive damages, attorney’s fees, and costs, the Holder Rule cap did apply. The appellate court then examined each fee entitlement basis claimed by plaintiffs. With respect to section 1717, plaintiffs did not prevail on their contract claim, but only on the negligence and CLRA claims such that section 1717 could not afford a fee entitlement basis. The CLRA fee predicate was unavailable because the claim applied to Wells Fargo only under the Holder Rule such that the cap applied. On the private attorney general statute anchor, the action only sought benefits for plaintiffs themselves and they obtained no injunctive relief of a broader public interest. $128,004.50 Fee Award Sustained Under Consumer Fee-Shifting Statutes Where $8,600 Was The Settlement Amount. On September 20, 2017, we posted, and co-contributor Marc on his California Mediation and Arbitration blog posted, on Medina v. South Coast Car Company, Inc., Case No. D069820 which was unpublished at the time. In that case, the appellate court affirmed a $128,004.50 lower court fee award where a settlement under consumer fee-shifting statutes only came to $8,600, but with a reservation to allow plaintiff to seek fees under the settlement agreement. We can now report that the case was certified for publication on September 25, 2017. Specific Settlement Agreement Terms Shot Down The Defense’s “No Fee Entitlement” Argument. The defense in this wrongful repossession action under various consumer statutes with fee-shifting provisions was likely shocked by a trial court’s award of $128,004.50 in attorney’s fees and $3,738.87 in costs given that the settlement amount to plaintiff was only $8,600 subject to the determination on the fees/costs petitions. The appellate court was not in Medina v. South Coast Car Company, Inc., Case No. D069820 (4th Dist., Div. 1 Sept. 19, 2017) (unpublished). The primary obstacle for the defense was that these litigants stipulated in a settlement agreement to not dispute entitlement to fee recovery and to acknowledge plaintiff was the prevailing party for fee recovery, reserving challenged to the reasonableness of any fee request. The defense efforts to backtrack from these settlement stipulations did not resonate on appeal. Although one of the defendants argued the result was unfair for a holder of finance paper on the car, the appellate court indicated—aside from the settlement—that those concerns were best left considered by the Legislature. We have to say that the 2/2 DCA’s unpublished decision in Haroun v. BMW of North America, LLC, Case No. B272279 (2d Dist., Div. 2 Sept. 5, 2017) (unpublished) has a great discussion of general routine costs principles as well as specific guidance on exhibit photocopying, PowerPoint technician, and court reporter fee expenses which are recoverable. In this one, BMW defensed a suing plaintiff in a Song-Beverly Consumer Warranty Act “lemon law” suit after a jury exonerated BMW, with BMW moving to recoup $23,682 in routine costs. The trial judge eventually awarded BMV $23,329 in costs, prompting an appeal. The 2/2 DCA affirmed, but reduced the routine costs by $4,200. Initially, the Court of Appeal “set the stage” for what routine costs are recoverable by a prevailing party under Code of Civil Procedure section 1033.5, nixing losing plaintiff’s suggestion that some exception should be carved out for “lemon law” cases: (1) certain costs are expressly allowable if reasonably necessary for the litigation and reasonable in amount; (2) certain costs are not expressly allowable; and (2) costs not expressly enumerated as allowable or not allowable are awardable in the trial court’s discretion. As far as burdens are concerned in a cost proceeding, the prevailing party bears the initial burden to establish the costs are allowable based on a verified cost bill appearing “proper on its face.” If this burden is met, then it shifts to the losing party to refute the propriety of claimed costs, with a simple objection not doing the trick. On appeal, the appellate court reviews any interpretation of the costs statutes de novo, reviews findings that a cost is reasonably necessary and reasonable in amount for substantial evidence, and reviews any award of discretionary costs for an abuse of discretion. Now we get to the specifics. Trial exhibit photocopying charges. These are expressly allowable under CCP § 1033.5(a)(13) even if the trial exhibits were not used at trial but were potentially helpful to the trier of fact. In deciding that the trial judge properly allowed exhibit photocopying expenses, the appellate court disagreed with Seever v. Copley Press, Inc., 141 Cal.App.4th 1550 (2006) to the extent that a lower court cannot award costs even if the exhibits are not admitted into evidence. It also indicated that black and white copying charges of 15 cents per page were reasonable, and sustained color copy charges of 65 cents per page. PowerPoint trial technician expenses. Based on reasoning from Bender v. County of Los Angeles, 217 Cal.App.4th 968, 990-991 (2013), the 2/2 DCA panel concluded that PowerPoint technician expenses during trial were recoverable—noting that use of such technology has become commonplace in modern trials. Private court reporter expenses for court reporters used during trials. Although reducing for an earlier deposit to avoid a “double dip” for expenses, the Court of Appeal did allow for private court reporter fees during trial given that court reporter fees (whether private or court-provided, with everyone acknowledging the latter is not usually present given budgetary concerns in California state courts) are different from transcripts produced by those reporters—with only court-ordered transcripts being allowable. As far as the amount of court reporter fees, the government caps applicable to court-provided reporters did not apply to private reports, a tip which should be useful to prevailing parties in costs proceedings. We Explore This Decision’s Reasoning In Our Comment. Movie: The Drowning Pool. 1975. In El Dorado Custom Pools v. Stein, Case No. C075500 (3d Dist. July 10, 2017), a plaintiff contracted with a pool company to built a pool on his property. Pool company sued for breach of contract, quantum meruit and other claims, and defendant Stein cross-complained. The lower court determined that the contract was void and unenforceable, but allowed the quantum meruit claim to proceed. Stein removed the entire case to federal bankruptcy court, with pool company’s complaint being dismissed but with Stein’s cross-claims allowed to proceed. The case then went back to state court, but Stein dismissed the cross-claims because he had achieved his objectives of beating pool company’s quantum meruit claim. After moving for $241,647.20 in attorney’s fees under Business and Professions Code section 7168 (a fee shifting statute allowing mandatory fees to a “prevailing party … in any action between a person contracting for construction of a swimming pool and a swimming pool contractor arising out of a contract for swimming pool construction”), the trial judge awarded only $31,888.57 because he concluded that no post-void determination fees were allowed because the contract was unenforceable. The Third District affirmed. It decided that this remedial fee-shifting statute should not be broadly interpreted by using “arising out of contract” language in Civil Code section 1717 to guide the construction of section 7168. Furthermore, it decided that Stein did not prevail because he won round one on contract voidability but lost round two on the quantum meruit claim. BLOG COMMENT—Although we usually do not comment on the reasoning in cases, co-contributor Mike was involved in this appeal. The Third District did not provide any legal analysis about why a broad interpretation should not guide remedial section 7168, which has identical language. Plus, the panel was wrong on the prevailing party analysis: Stein did win round one, but also won round two when pool company failed to prosecute and had its quantum meruit claims dismissed—Stein did achieve his litigation objectives. We might also note that this case was fully briefed as of year end 2014, such that it took 2 ½ years to get to a decision; we know the Third District has the most case to justice caseload, but just sayin’ ….. We would encourage readers, as long as the critique is respectful in tone, to provide any feedback on decisions which seems to have really gotten it wrong—we may post if the tone and critique are appropriate for posting. Plaintiff Is Not Disqualified From Fee Recovery Given Only Injunctive Relief Requested Under CLRA Claim; Matter Remanded For District Court To Determine Prevailing Party Status. Gonzales v. CarMax Auto Superstores, No. 14-56305 (9th Cir. Jan. 6, 2017) (published) involved a situation where a plaintiff won a summary judgment and sustained it on appeal in a California Consumer Legal Remedies Act (CLRA) action. The district court refused to award appellate fees on the theory that plaintiff rejected a defense correction notice which disqualified fee recovery in a damages action under CLRA. That conclusion was reversed by the Ninth Circuit. Plaintiff only sought injunctive relief such that the CLRA damages restriction did not disqualify the litigant from seeking recovery of appellate fees as the successful party. However, the district judge needed to be the one to decide if plaintiff truly prevailed on a pragmatic level such that the matter was remanded to have this determination made in the first instance, although the Ninth Circuit did suggest that it looked like plaintiff did prevail. The Ninth Circuit also carefully observed that its decision did not encompass a situation where a plaintiff sought both injunctive and damages relief. Defense Prior Efforts To Settle Contained Unreasonable Extraneous Terms And Case Was Hard Fought, Justifying A $575 Hourly Lodestar Rate. When you try to settle a case, make sure you do not ask for extraneous extractions of an unreasonable or unallowable nature. The failure to do so doomed the defense efforts to challenge the post-settlement fee request of a successful lemon law plaintiff based on prior efforts to settle. Plus, this case establishes that $575 per hour is a reasonable rate for lemon law practitioners in a San Diego state court venue. Plaintiff in Goglin v. BMW of North America, Inc., Case No. D068442 (4th Dist., Div. 1 Oct. 21, 2016) (published) bought a used BMW for $45,762 but had to sue based on BMW’s alleged failure to disclose collision damage on the used vehicle. BMW did make some offers to settle, but all of them contained Civil Code section 1542 waivers (including a provision that she could not be a class representative) as well as confidentiality/nondisparagement clauses. She finally was able to reach a settlement with a mediator’s assistance, with BMW agreeing to pay $75,000 (without a lot of the other extraneous terms) and allowing the lower court to determine reasonable attorney’s fees under the Song-Beverly Act fee-shifting provision, Civ. Code, § 1794(d), via notice motion later. Plaintiff moved to recoup $200,249.19 in fees and costs for litigation which had produced earlier discovery sanctions of $7,295 against BMW; her counsel sought a lodestar hourly rate of $575-625, with BMW countering that the fees were unreasonable based on its earlier efforts to settle, the relative non-complexity of the matter, and BMW counsel’s charging only $300 per hour. The lower court stuck with the $575 hourly rate, awarding plaintiff fees of $180,262.50 and costs of $4,951.69, or a total of $185,224.19. None of the challenges by BMW resonated to victory on appeal. On the first argument that BMW made earlier reasonable efforts to settle, the appellate court rejected this contention because it did insist on extraneous terms which were not necessarily reasonable—the 1542 waiver and confidentiality clauses, even though they were dropped from the ultimate compromise brokered by the mediator. With respect to the reasonableness of the fee award, the litigation was hard fought, BMW never made it easy on Plaintiff, and BMW admitted that its $300 hourly rate was below the market for most San Diego-venued cases. BLOG OBSERVATION—Just to show you how disproportional fees and costs can be in statutory fee-shifting situation, BMV was out over $185,000 in fees and costs in tandem with the $75,000 settlement price all over a used vehicle with a $45,762 sales price. All Of The Consumer Statutes Required Bad Faith, Found Not To Exist And Affirmed Under Appellate Abuse Of Discretion Standard. Above: chiropractic adjustment of horse. Wikpedia. Photographer: Dr. Dennis Eschbach. Wikipedia Creative Commons License. In Libman v. Bondarev Chiropractic, Inc., Case No. B259498 (2d Dist., Div. 2 July 7, 2016) (unpublished), personal injury plaintiffs netted a small recovery, plaintiffs did not pay their medical bills, and the chiropractor sued the lawyer in small claims court for those unpaid bills, with chiropractor prevailing to the tune of $5,085. Lawyer then sued chiropractor, “civilly” (Court of Appeal’s wording), for improper debt collection under the Fair Debt Collection Practices Act (FDCPA), Rosenthal Fair Debt Collection Practices Act (California somewhat statutory equivalent of FDCPA), and California’s Consumer Credit Reporting Agencies Act. All of them, by the way, have fee-shifting statutes allowing a prevailing party to recover unless the action was brought in bad faith/with lack of good faith (with the appellate court treating these constructs, probably correctly, as the same), with chiropractor seeking $14,102 under all of the fee-shifting statutes. Even though lawyer ultimately lost on a second demurrer round without leave to amend, the trial judge did not award frees to chiropractor based on the belief the action was not brought in bad faith. The fee denial was affirmed on appeal. This case is must reading for debtor/creditor improper debt collection attorneys, because several cutting-edge issues seemed to be involved. However, when all was said and done, the appellate court, as did the trial judge, felt that the issues were close enough under the fee-shifting statutes to justify a denial of fee recovery to chiropractor. BLOG COMMENT--However, we will have to observe after reading the decision carefully, was this case really worth it, given only a little over $14,000 in upside recovery was involved? #1: Choi v. Mario Badescu Skin Care, Case No. B257480 (2d Dist., Div. 3 Apr. 29, 2016) (Unpublished). Caption: “Testing cosmetics. Washington D.C. July 10, 1937. The department of Agriculture is making tests everyday in order to get cosmetics under the Pure Food and Drug Act, Mrs. C.W. 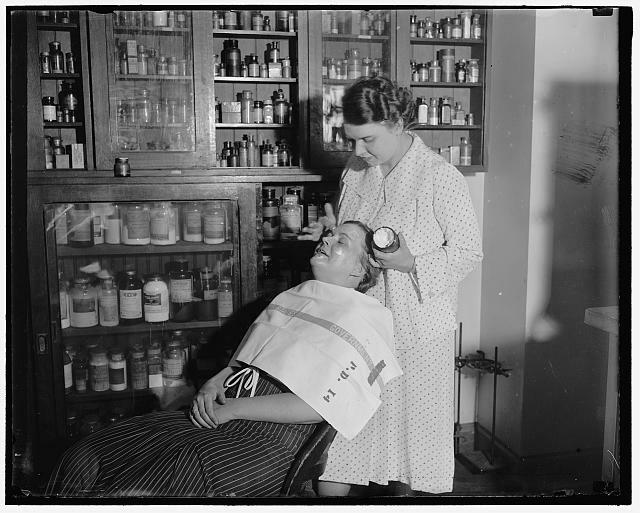 West seated is helping Mrs. R. Goodman make a test on cold cream and other facial creams.” Library of Congress. In this class action, defendants agreed to settle a nationwide class of face cream purchasers claiming that not all the ingredients were disclosed (which could lead to certain physical injuries). The settlement gave class members a $45 certificate discount, valued at around $2.4 million and excepted out from releases any personal injury claims. Class counsel requested $1.2 million based on a “clear sailing” clause (a clause saying the defense would not challenge such a request), and the lower court awarded $864,324 (which involved a 1.8 multiplier and was 72% of the requested amount). Nine objectors challenged the fee award to no avail on appeal. California has no prohibition on “clear sailing” agreements (Consumer Privacy Cases, 175 Cal.App.4th 545, 553 (2009)), and no evidence of fraud/collusion was present in the settlement process. Given that there were 80,000 class members, the fee amount was reasonable also. #2: Roehrig v. Area 55, Inc., Case No. D066790 (4th Dist., Div. 1 Apr. 29, 2016) (Unpublished). This decision is a rare one, where a plaintiff class representative was hit with attorney’s fees for prosecuting a false labeling wine aerator class action—claiming the aerator was not made in the U.S.A.—in bad faith, which can give rise to fee exposure under Civil Code section 1780(e) of the Consumer Legal Remedies Act. The appellate court first delineated that the “not in good faith” language of section 1780(e) encompasses a subjective test, not an objective speciousness test. (Corbett v. Hayward Dodge, Inc., 119 Cal.App.4th 915, 922-924 (2004).) Now, we recite the facts which sealed the deal for plaintiff class representative: (a) plaintiff owned and purchased numerous consumer goods made in whole or in part outside the U.S., with no problem in making such purchases; (b) plaintiff talked to a friend about the aerator before he purchased it, failing to look at other aerators for “where made” information and seemingly did so in an attempt to “buy” a lawsuit to help the friend; (c) plaintiff tried to change deposition testimony to hide the involvement of his friend; and (d) plaintiff abandoned his claim—leading to an involuntary dismissal—because he failed to list it in his bankruptcy filings before even seeking class certification. Ouch! Allocation—Artefex LP v. Bushman, Case No. B260737 (2d Dist., Div. 6 Dec. 17, 2015) (Unpublished). In this one, plaintiffs won $15,000 on a contract breach claim after voluntarily dismissing tort claims, with the trial judge then awarding $191,256 in fees and $11,778.37 in costs based on a fees clause. The 2/6 DCA reversed based on its perception that the trial judge should have apportioned costs between the compensable contract and noncompensable tort claims under the circumstances. It was convinced that the contract and tort claims did not share a common nucleus of facts. Consumer Statutes—Calande v. Surf and Sand, LLC, Case No. H038679 (6th Dist. Nov. 19, 2015, mod. Dec. 17, 2015) (Unpublished). Defendants mobile owner/operator appealed a denial of fees requests, claiming they were entitled to them based on Civil Code section 1942.5(g), a retaliatory eviction fee-shifting provision, and Civil Code section 798.85, a Mobile Residency Law fee-shifting provision. The appellate court agreed and reversed, determining that a general prayer for fees satisfied the section 1942.5(g) requirement of requesting them upon initiation of the action and further deciding that the fifth cause of action triggered MRL fee recovery. Settlement—Ratner v. Wilson, Case No. G051264 (4th Dist., Div. 3 Dec. 17, 2015) (Unpublished). Here, a second judge denied a fee motion under a settlement agreement construed to be valid by a first judge ordering consideration of the fee request. Second judge refused to grant fees, construing the validity of the settlement agreement in contravention of what was done with the first judge. Presiding Justice O’Leary, on behalf of a 3-0 panel, said “no go,” can’t revisit the determination by the prior judge so look at the fee request again. Costs—Grabowiec v. Schopmeyer, Case No. G050978 (4th Dist., Div. 3 Dec. 17, 2015) (Unpublished). The decision, again by Presiding Justice O’Leary, reminds us that the routine costs winner is not necessarily a fee winner under a fee-shifting statute—a common argument we see often, but which is usually a loser. There is a distinction between prevailing for routine costs and prevailing for an award of attorney’s fees. Affirmance in this one. Family Law—In re Marriage of Mejia, Case No. B261401 (2d Dist., Div. 7 Dec. 17, 2015) (Unpublished). Last on the list, a fee order under Family Code sections 2030/2032 (needs based) and 271 (sanctions) was affirmed under the abuse of discretion standard based on the failure of appellant to provide an adequate record—no reporter’s transcripts of oral hearings were provided so as to retard review under the circumstances. Consumer Statutes/Reasonableness Of Fees: $60,000 Lemon Law Fee Recovery, Out Of Requested $119,862, Affirmed On Appeal. Challenge To Reasonableness Of Hourly Rate And Work Performed Rebuffed. Section 1794(d) was at issue in Leinberger v. Keystone RV Co., Case No. G049341 (4th Dist., Div. 3 Oct. 2, 2015) (unpublished), where the parties in an RV travel trailer dispute settled for $72,000 on the edge of trial, leaving the lower court to determine reasonable attorney’s fees. Plaintiff’s attorneys requested $119,862 for 252 hours of work based on an hourly rate of $475, but the lower court awarded $60,000 for 180 hours of time at a $330 hourly rate. Plaintiff’s appeal of the fee award as “not enough” did not prevail. Acting P.J. Justice Bedsworth penned the 3-0 decision, sustaining the fee award. No Costs Allocation Between Plaintiffs Required, 998 Offer Shifted Expert Witness Fees, And Prosecution Of CLRA Claim At Trial Was Not In Good Faith. Foss v. San Antonio Community Hospital, Case No. E057236 (4th Dist., Div. 2 July 28, 2015) (unpublished) was a case prosecuted by plaintiffs against medically affiliated defendants under various tort and the Consumer Legal Remedies Act (CLRA). After plaintiffs were nonsuited at trial, various defendants obtained an award of routine costs, expert witness fees (pursuant to a CCP § 998 offer), and CLRA attorney’s fees which are only awarded to a prevailing CLRA defendant if the action was not prosecuted in good faith. All of these results held up on appeal. Expert witness fees correctly were awarded to the defendants based on cost-shifting feature of CCP § 998. Even though there was no acceptance line in the 998 offer (a requirement now), the offers were sent before this requirement was mandated after January 1, 2006. The fact the defense offered to waive costs in return for a dismissal did not make the offer unreasonable given that defendants ultimately won in a case with some problems. 4/3 DCA Unpublished Decision Now On The Books! On June 14, 2015, we posted on McKenzie v. Ford Motor Co., a Fourth District, Division 3 decision reversing a fee award under California’s lemon law based on a lower court’s erroneous determination that two 998 offers were similar enough to deny an award of intervening fees/costs. We now report that the opinion was certified for publication on July 10, 2015. Car Manufacturer’s First And Second Offers Were Different, And “Fees On Fees” Are Recoverable For Fee Motion Work Under Lemon Law Fee Shifting Provision. In McKenzie v. Ford Motor Co., Case No. G049772 (4th Dist., Div. 3 June 12, 2015) (unpublished), car buyer filed a “lemon law” complaint against Ford seeking damages/restitution of about $23,000, as well as penalties and an award of fees/costs. Two law firms represented plaintiff. Ford made an initial CCP § 998 settlement offer for $25,000 in money and either $15,000 in fees or allow plaintiff to move otherwise for reasonable fees, but included suspect terms such that the offer was likely invalid: Ford wanted certain factual admissions, wanted a release of known/unknown claims, and wanted a “material” confidentiality provision. (For a discussion of suspect § 998 terms, see our post of July 2, 2014.) Car buyer countered with an offer for $25,000.01, plus reasonable fees/costs to be determined by the court, in exchange for a return of the car—an offer not accepted. Ford then made a second § 998 offer, knocking the monetary payment down to $25,000, a car return, and either $15,000 in fees or car buyer filing for reasonable fees/costs with the court, with this offer being accepted by car buyer. The 4/3 DCA, in a 3-0 decision authored by Justice Rylaarsdam, reversed and remanded for a “re-do.” It found that the two offers by Ford were different such that the intervening fees were properly recoverable. Ford somewhat aided this determination by admitting that its initial offer incorporated numerous “extraneous” provisions, eliminating the non-financial terms in its second offer (especially the “material” confidentiality provision). As far as the duplication of work rationale, the appellate court was skeptical given that Ford only identified 2 of the 42 hours of work as being suspect—rather, the post-offer reduction found faulty drove the wholesale reduction in significant respect. Also, “fees on fees” were properly recoverable. Finally, some of the other costs claimed, but rejected by the lower court, needed to be reexamined as well. Plaintiff Was Not Successful and Defendant Fixed Problem Based on CLRA Pre-Suit Notice. One must be a “successful party” to be entitled to fees under CCP § 1021.5, and plaintiff was not. He was also no catalyst, because the car rental company fixed the problem based on the pre-suit CLRA notice, not from the lawsuit itself. Also, plaintiff failed to show his action benefitted a large number of persons, other than an unproven discrete number using the Phoenix car rental service at the time. Finally, given the lower court found no damages were awardable to plaintiff (affirmed in a companion appeal), he could not be considered the prevailing party under CLRA, not to mention that his gripe was fixed by the alleged offending party. Acting Presiding Justice Bedsworth penned the decision on behalf of a 3-0 panel. Owner Was Not Prevailing Party in Lemon Law Case Because Owner Did Not Recoup Main Objective in the Form of Civil Penalty. On January 3, 2015, we posted on MacQuiddy v. Mercedes-Benz USA, LLC, Case No. B251752 (2d Dist., Div. 8), which held among other things that a car owner in a lemon law suit did not prevail for fee recovery because owner did not obtain a civil penalty—the main objective of his litigation. We can now report that MacQuiddy was certified for publication on January 29, 2015. Car Manufacturer Defendant Prevailed For Fees, But Might Be Liable For Some Routine Costs. Actually, we can say that counsel for Mercedes-Benz in this case made some good moves as far as mitigating fee/costs exposure. M-B was embroiled in a gripe from a car owner about excessive multiple repairs. Car owner sued, but defense counsel essentially admitted liability in its answer and also sent a CCP § 998 offer stipulating to a certain sum and offering to repurchase the car in “undamaged condition, save normal wear and tear.” (Car owner did not accept the § 998 offer.) Pursuant to certain trial stipulations, the lower court entered a restitution order in favor of car owner and against M-B to the tune of $68,948.07. Then, car owner sought certain routine costs and attorney’s fees, with the fee request being $74,530 under a fee-shifting provision of the Song-Beverly Consumer Warranty Act (Civ. Code, § 1794(d).) The lower court denied fee recovery and denied costs to car owner in part and awarded M-B some routine costs. Car owner appealed. Car owner did get some minor relief in MacQuiddy v. Mercedes-Benz USA, LLC, Case No. B251752 (2d Dist., Div. 8 Jan. 2, 2015) (unpublished). Although the Song-Beverly Act has no definition of “prevailing party,” the courts look to see who achieved his/her litigation objectives. Here, car owner did not obtain a civil penalty such that owner’s main litigation objective was not achieved. The fee denial was correct under the circumstances. Section 998 fee shifting was obviously in play, but the defense offer was ambiguous in using the term “undamaged condition”—there was no objective basis to permit the 998 offeree to meaningfully evaluate what this language meant. However, the routine costs issue is where the rubber met the road. M-B could not be considered the prevailing party in this one, but maybe plaintiff car owner could get some normal expenses (but not fees) because owner did prevail. This one got remanded, but on minor costs issues in one of our first 2015 decisions to review in this New Year. Ford Motor Hit With $50,574.19 Lemon Law Jury Verdict, And Then Hit Again With $342,540.25 In Fees As Well As Costs/Expenses On Top. Many California consumer statutes, like the lemon laws, have mandatory fee-shifting statutes. Frequently, a winning plaintiff can obtain fee awards that are many times a multiplier of the underlying merits judgment. That happened in Bettenhausen v. Ford Motor Co., Case No. C071978 (3d Dist. Apr. 1, 2014) (unpublished), where Ford Motor Co. was hit with a $50,574.19 lemon law jury verdict, $342,540.25 in fees (almost 7 times the jury verdict amount), and additional costs/expenses. Ford made some mistakes in contesting the requested fees. It filed no written opposition, although the lower court allowed it to orally outline its opposition points. After the attorney fee order came out, Ford obtained new counsel (because prior counsel admitted his secretary had failed to file a written opposition while he was on vacation). New counsel appealed and then filed a motion to vacate, the latter motion denied because the trial judge ruled that the appeal notice divested him of further jurisdiction for purposes of adjudicating the motion. As you can probably guess, Ford was not successful on appeal. Here were the main problems: (1) no reporter’s transcript of the fee motion was provided, which made it difficult to assess the nature of Ford’s oral objections; (2) the lower court indeed had no jurisdiction to decide a motion to vacate after an appeal was filed, because the order vacating the fee award would have deemed a nullity; (3) Ford incorrectly argued that lodestar multiplier are not available in lemon law cases, something its own authority belied; and (4) plaintiff’s fee submissions showed justification for the requested hourly rates and .3 positive multiplier. Some obvious lessons can be gleaned from this one, we think. 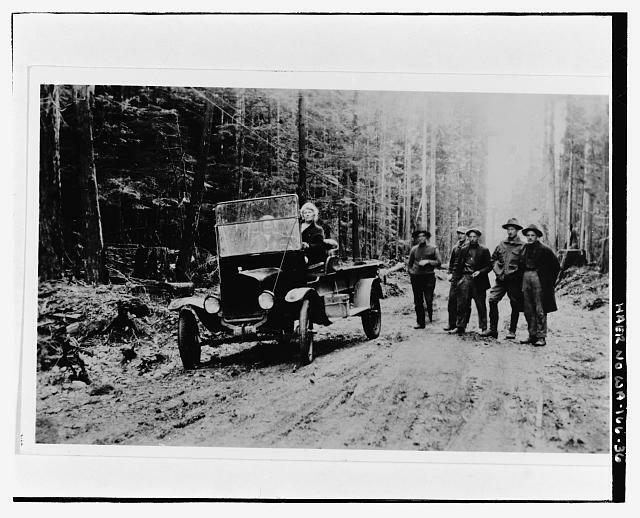 Ford Model T. 1921. Library of Congress. Work on $54,771.25 Fee Award Was Interrelated Under Automobile Sales Finance Act and Consumer Legal Remedies Act Claims. Many consumer statutes allow for fee recovery to the prevailing party, such as the Automobile Sales Finance Act (ASFA, Civ. Code,, § 2983.4). Others allow for fee recovery, even against the consumer but only if the prosecution action was found to be in bad faith, such as in the Consumer Legal Remedies Act, (CLRA, Civ. Code, § 1780 (e)). Pulido v. R. J. Gaestel, Inc., Case Nos. F063388/F063914 (5th Dist. Dec. 26, 2013) (unpublished) involved a fee award against a consumer bringing both ASFA and CLFA claims. The equities were not particularly in favor of plaintiff car purchasers; after all, they were found not to have effectively rescinded the transaction under the ASFA when the record showed they continued to use the vehicle for four years during the litigation. That made it pretty easy for the lower and appellate courts to find that the defense prevailed under the ASFA. However, the trial judge also awarded $54,771.25 against plaintiffs and in favor of the defense across-the-board. The fee award was affirmed. Plaintiffs did not deny that the defense was the prevailing side for purposes of ASFA fee recovery. However, plaintiffs argued that the lower court did not (and it was true) make a bad faith finding under CLRA. The reviewing court had no problems sustaining the result, because it found both claims arose from identical facts such that no apportionment was needed despite the express lack of a bad faith finding under the CLRA fee-shifting statute. Rosalie Jones as auto salesman. 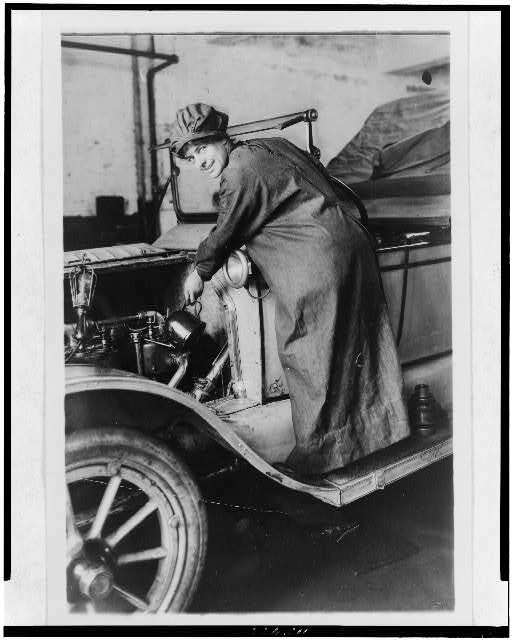 Rosalie Jones was an Oyster Bay socialite and suffragist, known as “General Jones.” 1920 – 1930. Library of Congress. His Comments Indicated the Case Needed To Be Settled, More About Fees Than the Merits. Vasquez v. Superior Court, Case No. G048890 (4th Dist., Div. 3 Nov. 26, 2013) (unpublished) is a case where the appellate court granted disqualification of a judge from presiding over a lemon law case. The reason? Among other things, the judge indicated that lemon law cases should be settled because they were more about attorney’s fees than the merits.